Thank you for being a part of this adventure. We could not do it without your love, prayers and support. Donations can be made at: http://www.Walker5forGod.com. Many blessings to you all! Hope you enjoy this March and April update! Thanks for being a part of our ministry! It has been a crazy busy time here in the DR with the end of DTS lecture phase that Ned and Debbie are both staffing, Hannah and Jesse staffing NIKO camp in Santiago, Debbie going to Haiti and being sick, and Ned attending his high school football reunion. We are also having major electricity and internet issues. Internet is very intermittent when we do have electricity and we have had major changes to our electricity supply in the past 3 weeks with 4 to 6 hour blackouts a day for most days. These things have led to a delay in getting out our monthly newsletter! Sorry for the delay but thanks for being a part of this adventure! 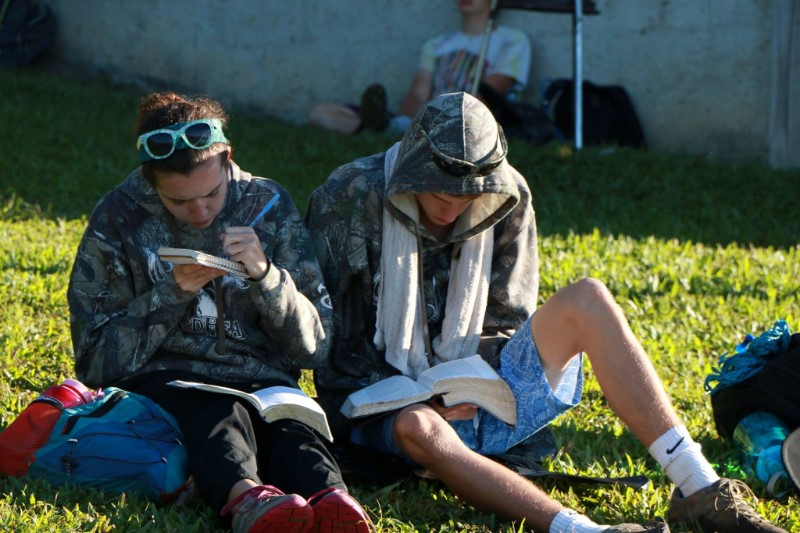 Bible reading and journaling are two of the things that the staff and the campers do during NIKO camp. I love this picture of Hannah and Caleb (a friend and YWAM staff kid from St. Marc, Haiti) sitting together during quiet time with Jesse in the background. During this NIKO camp God spoke to Hannah through 1 Peter 4:10, "Each of you should use whatever gift you have received to serve others; as faithful stewards of God's grace in its various forms." She came home and told us that she wanted to do her Discipleship Training School and then get some medical training because, "I feel like God gives us the knowledge and ability to do things so that we can help others." Hannah will graduate in June and is looking at attending the DTS in Mendocino, California in September. Please pray for her as she needs to raise about $6000 for this. 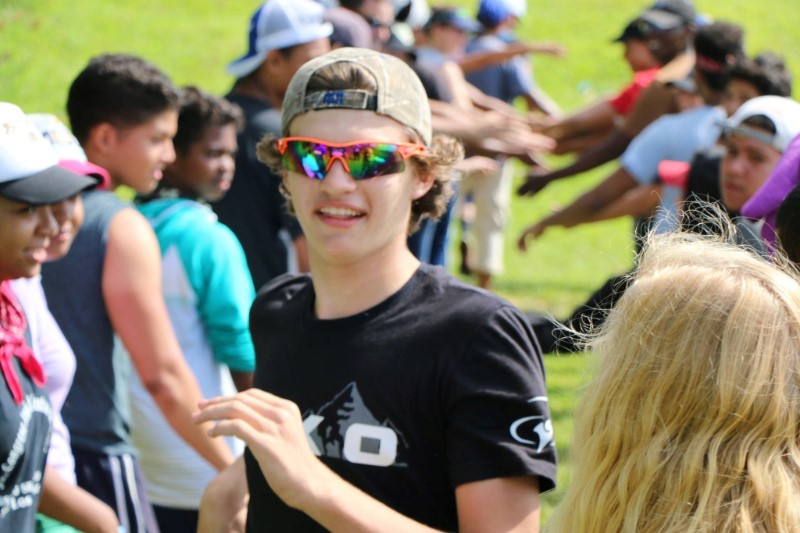 Jesse enjoying a team building activity during NIKO camp in Santiago. Not just the campers but also the staff learn more about themselves and how to lead as they go to this week of camp. We love seeing the positive changes that come each time the kids participate in NIKO. Jesse and Debbie have the opportunity to lead a scouting trip for future teams to go to Cuba. 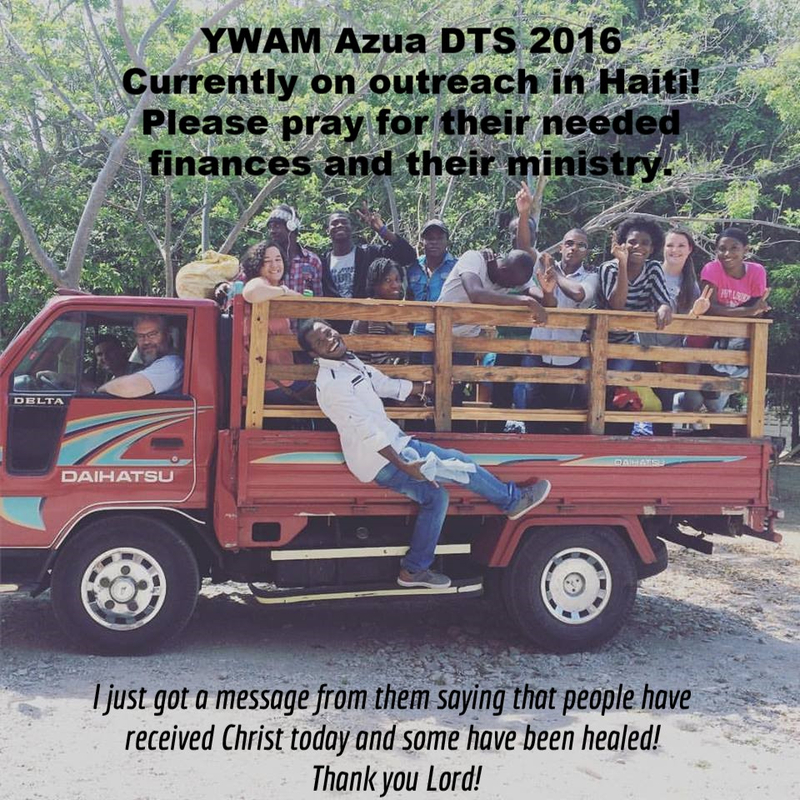 They will be going with some of the current DTS students when they arrive back from Haiti. This trip will be May 21st to the 29th. Would you please pray and consider giving towards the $2000 they need in order to make this a reality. Please pray as they travel to a once closed communist country that is just beginning to open up to the outside world after many years. 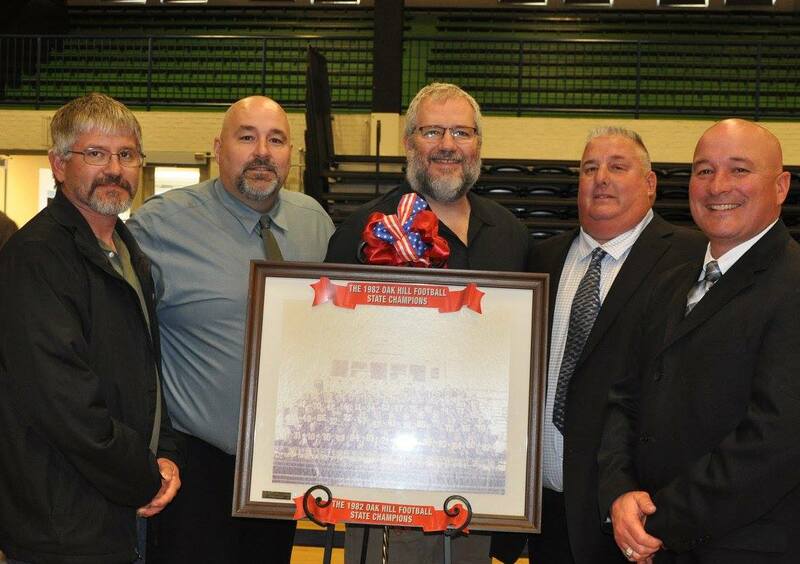 Oak Hill High School's 1982 State Championship football team was inducted into the Grant County Sports Hall of Fame on April 3, 2016. Ned was blessed to be able to attend and receive his certificate and see some old friends. From the stories that I have heard these 5 guys are all lucky to have survived to adulthood...oh the joys and dangers of growing up in the farmlands of Indiana! 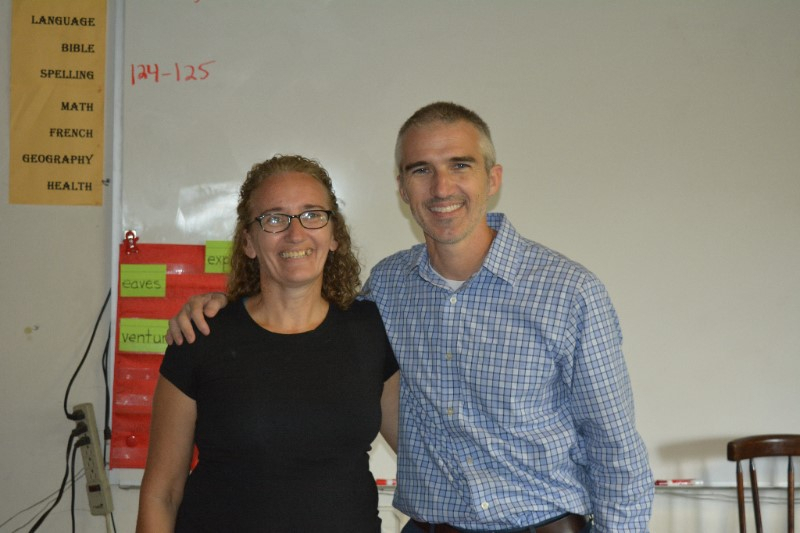 Debbie's brother Thom and wife Cara work at Sonlight Academy in Haiti. Sonlight is an English immersion school on the north coast of Haiti. Debbie was very blessed to get to go and spend the week with them; enjoyng their sweet family and getting to help teach in Thom's 6th grade class all week and teaching a few Spanish words to Cara's kindergarten students. Though Haiti and the Dominican Republic share the island of Hispaniola it is not easy to travel to both sides but every trip brings more unity to the island. Haitians here in the DR love learning that Debbie's brother lives and teaches in their country while Debbie and her family live and serve on the DR side.